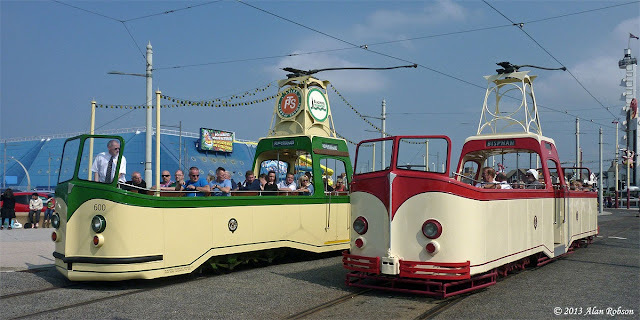 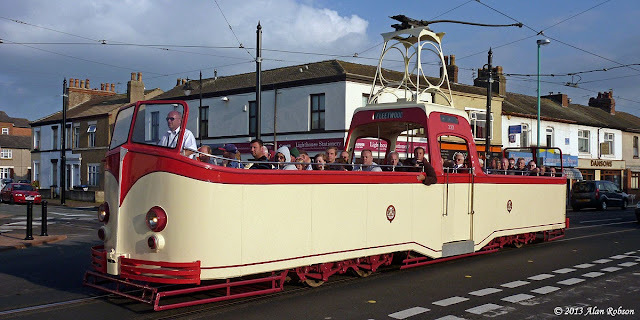 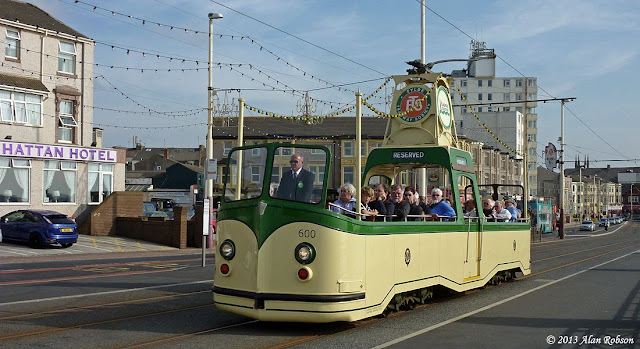 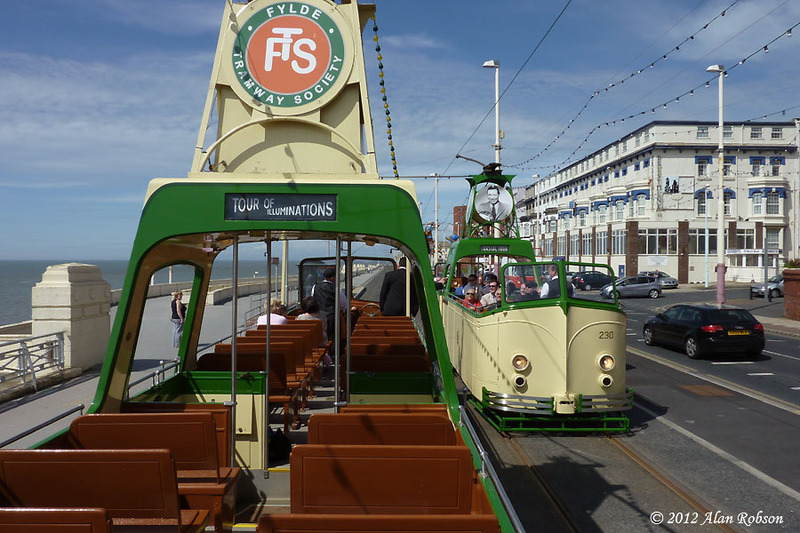 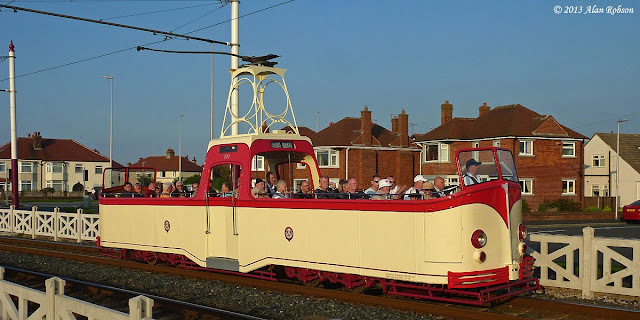 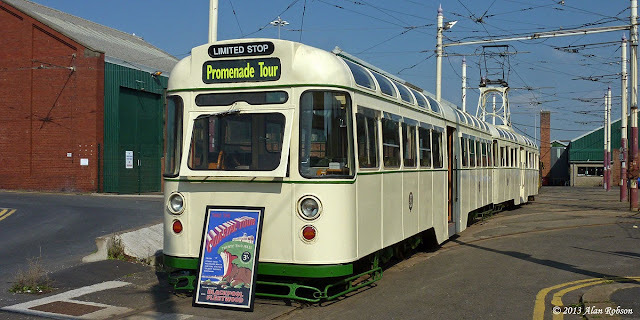 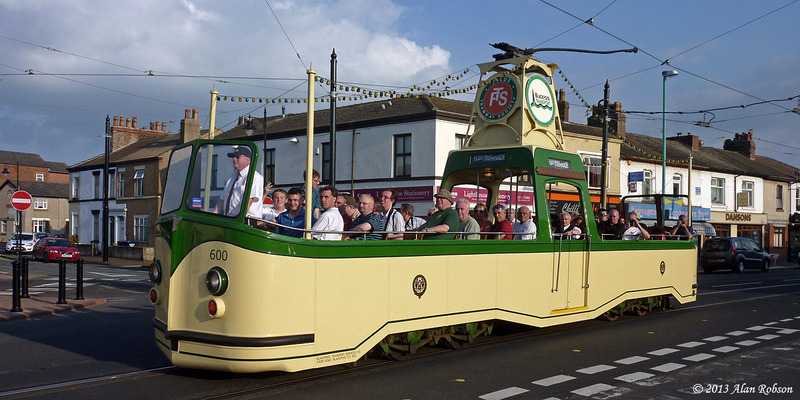 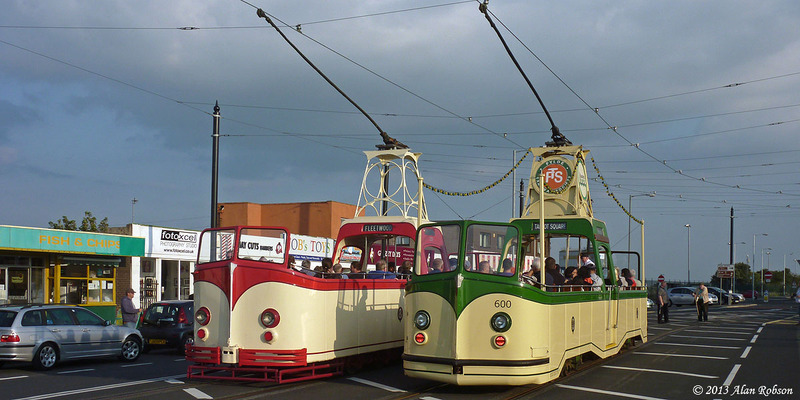 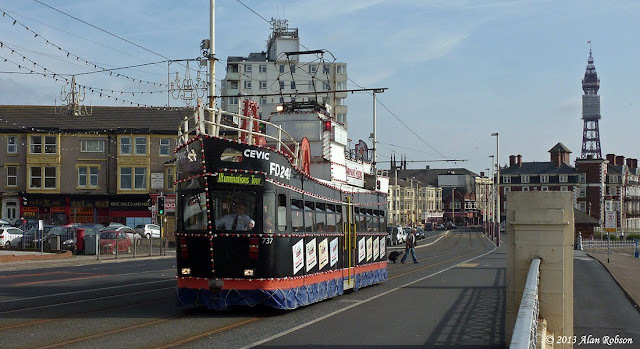 The Fylde Tramway Society held their 2013 Blackpool Illuminations tour on Tuesday 27th August, the trams in use on the tour were Trawler 737 and Boat 600. The last day of the August Bank Holiday in Blackpool was forecast to be a fine sunny day, and so it proved to be. 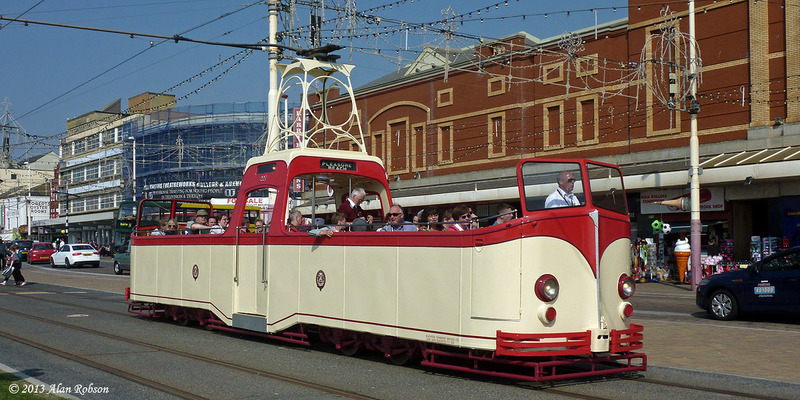 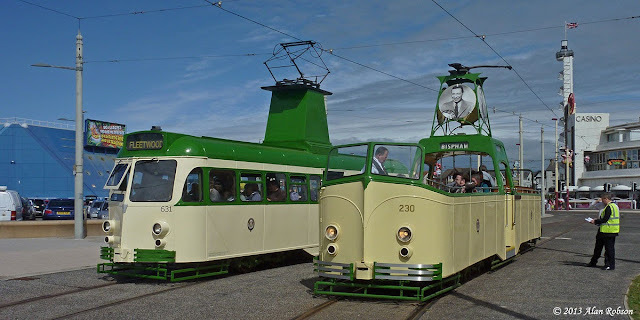 Monday saw some of the older trams being used on the Heritage Tours, with the morning output consisting of Standard 147, Bolton 66 and Box car 40, with Boat 230 making up the compliment. 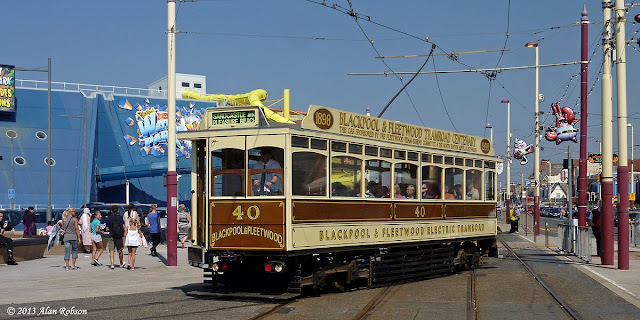 The first run of the day saw 147 making the round trip to Fleetwood Ferry, complete with a full load of passengers, the early afternoon journey to the port being handled by Bolton 66. Metro Coastlines liveried Twin Set 675+685 was displayed during the afternoon on Blundell Street. Standard 147 and Box 40 were due to be swapped for heritage Twin Set 272+T2 and Centenary 648 during the afternoon, but unfortunately both of these trams failed on depot before they got a chance to enter service. 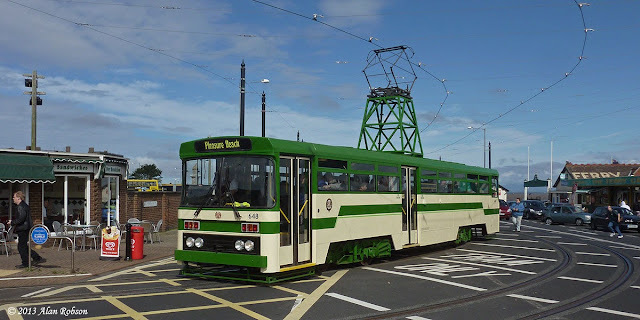 It was decided to use Boat 227 and 706 Princess Alice for the final run through to Fleetwood instead of the planned 272&T2, and even Centenary 642 came out for a while, making a round trip as far as Thornton Gate. August Bank Holiday Sunday dawned bright and sunny, which heralded a full day of open-top tram running on the Heritage Tours. Open-top Balloon 706 Princess Alice kicked off the day with a run through to Fleetwood Ferry. 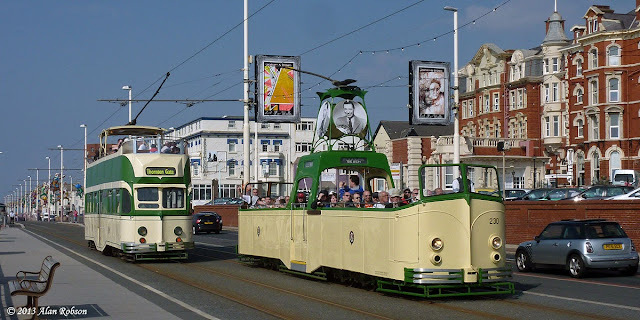 Boats 230 and 600 also joined 706 on the heritage service, with the last tram out being the newly refurbished 602. 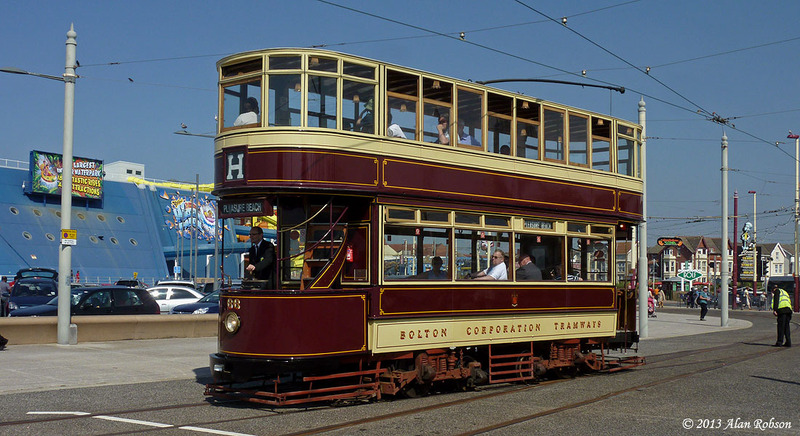 Boat 602 has been repainted in a fictitious red and cream livery, and in the process has been given its previous fleet number of 227 which had been applied as chrome numerals on the sides of the central trolley arch. The early afternoon trip to Fleetwood was handled by Boat 230, with the trams being dispatched to various destinations throughout the day, including North Pier, Cabin, Bispham, Cleveleys and unusually Ash Street in Fleetwood, this trip being performed again by 230 late on in the afternoon. 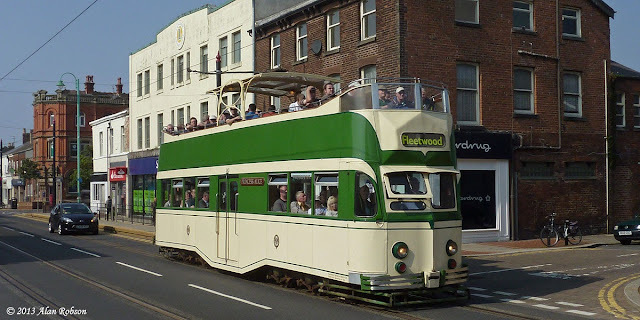 The final timetabled run through to Fleetwood Ferry was undertaken by Boats 600 and 227, with both trams heavily loaded with passengers. 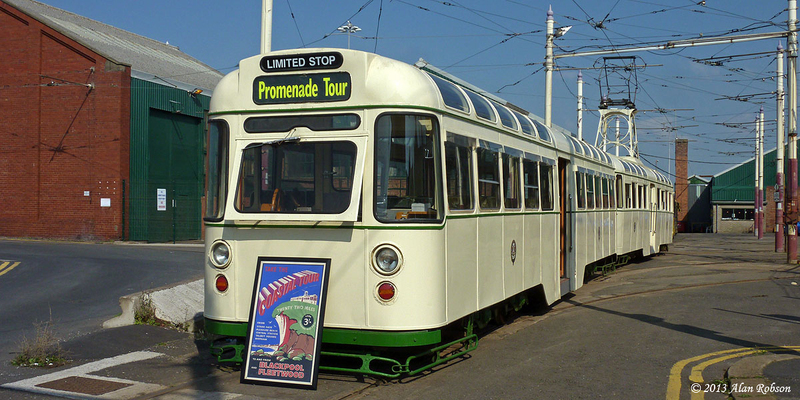 Saturday 24th August saw the start of the last weekend of daytime Heritage Tour operation of the year in Blackpool. Although the weather had been forecast to be wet for much of the day, fortunately the sun decided to shine on the Fylde Coast instead. The timetabled Heritage Tour output comprised of Centenary cars 648 and 642, with Brush 631 and Boat 230 operating the heritage specials. 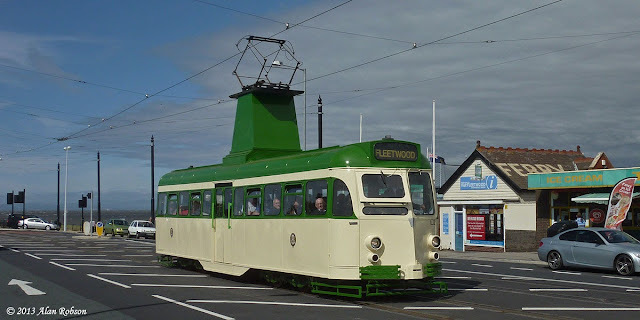 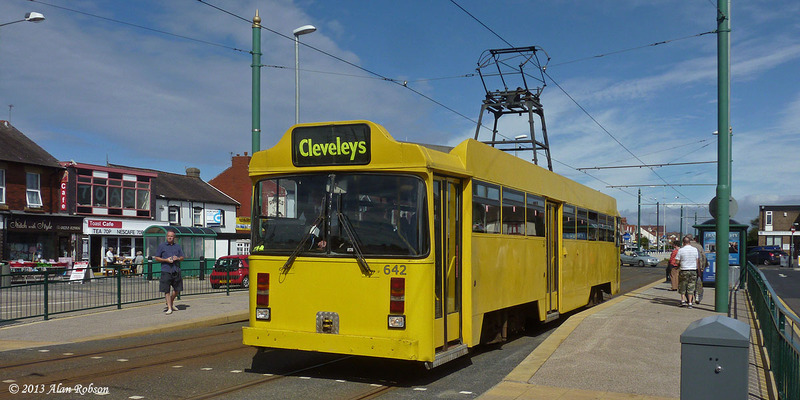 648 made the first run of the day to Fleetwood, with 642 operating as far as Cleveleys on its first journey. 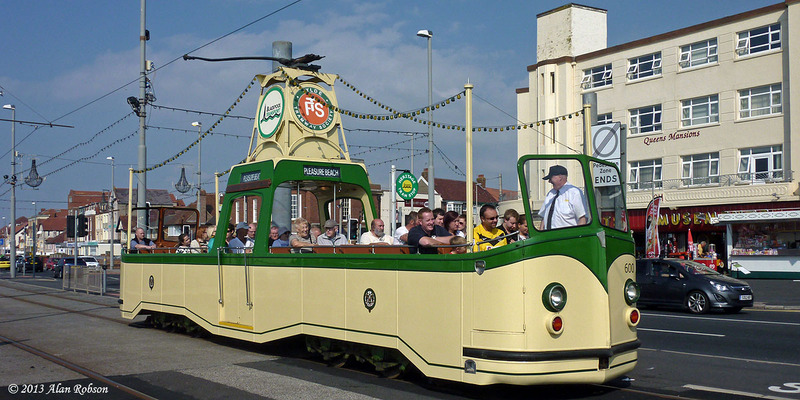 Brush car 631 performed the early afternoon Fleetwood journey from the Pleasure Beach, with Boat 230 preceding it to Bispham where it took its crew break. 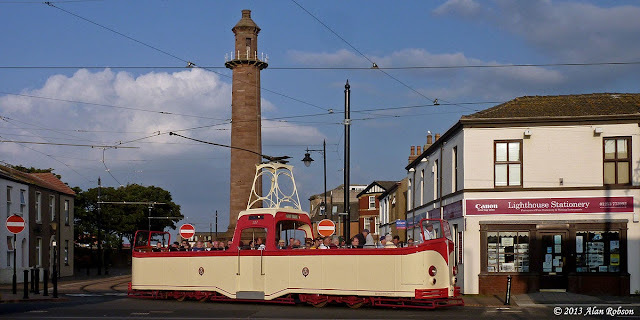 The day was rounded off with Centenary 642 and Boat 230 running the late afternoon trip to Fleetwood. 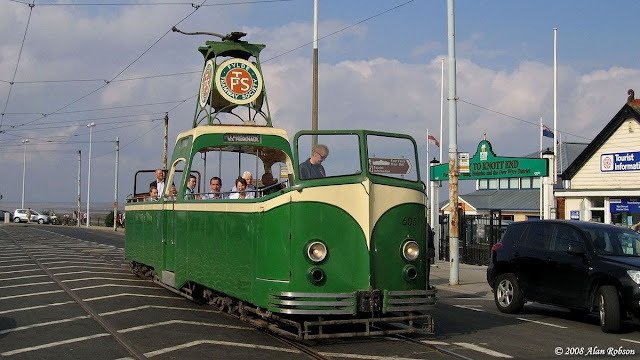 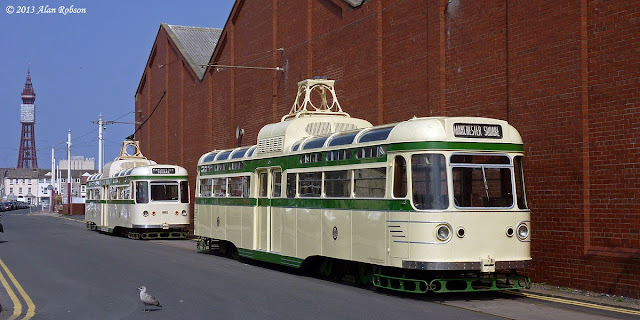 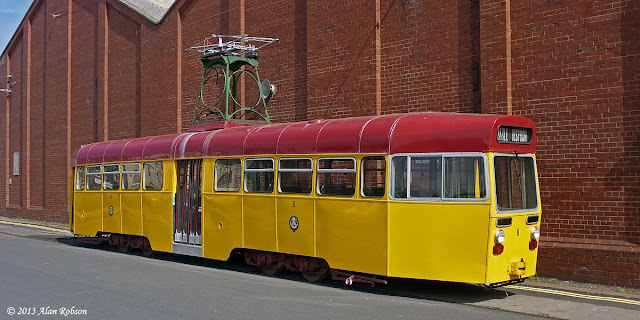 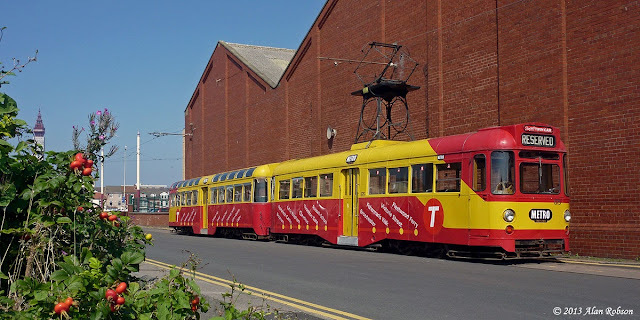 In a shock announcement, the Lancastrian Transport Trust have made the controversial decision to sell Boat car 605 to the Market Street Railway preservation group for operation on San Francisco's well known F-line that operates PCCs and other vintage trolley cars. 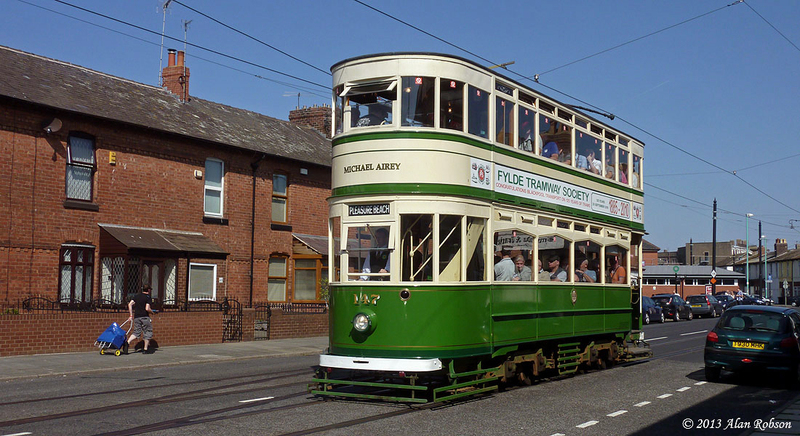 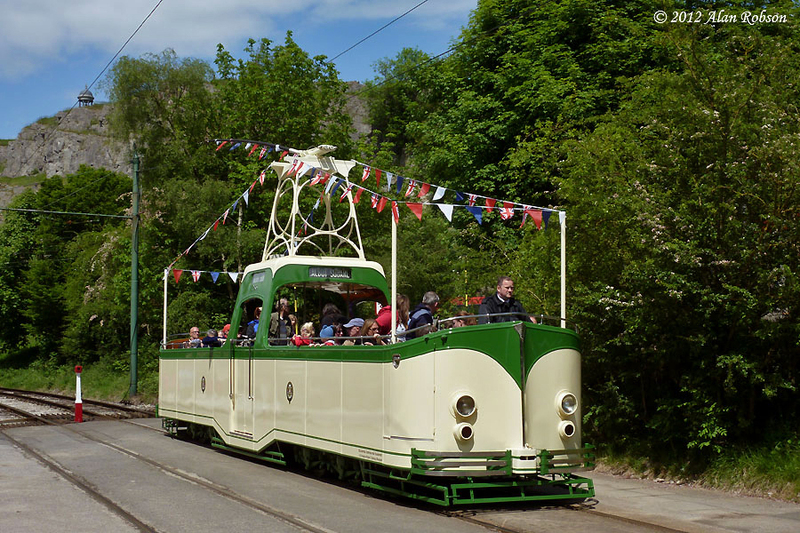 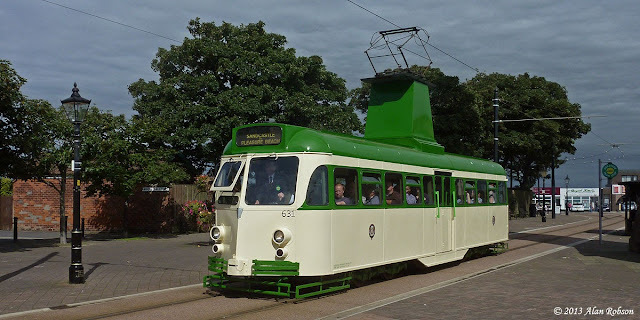 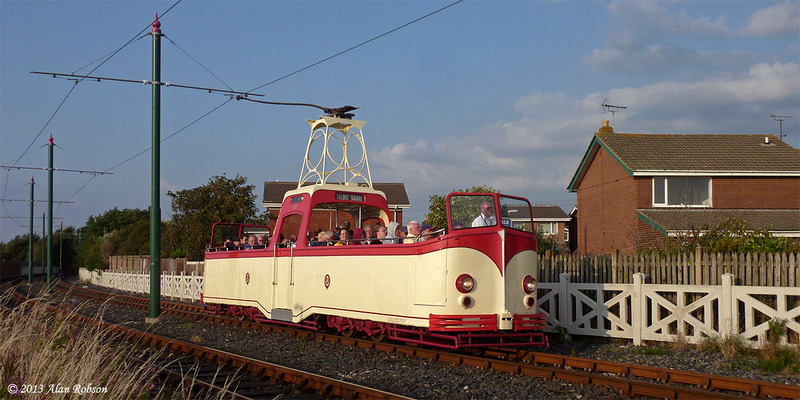 The tram had been on loan to Beamish for two years and has proved to be very popular during its period at the museum, but this arrangement has been cut short and 605 is due to leave British shores on a one-way trip to America in September. 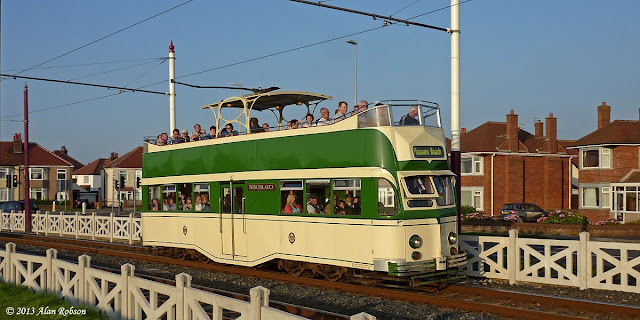 Boat cars are well liked by both enthusiasts and the general public alike, and this very unwelcome move will mean that the only Boats left available to ride in the UK will be 236 (607) at Crich and 600, 602 and 230 (604) which are retained by Blackpool Transport for Heritage Tour use. 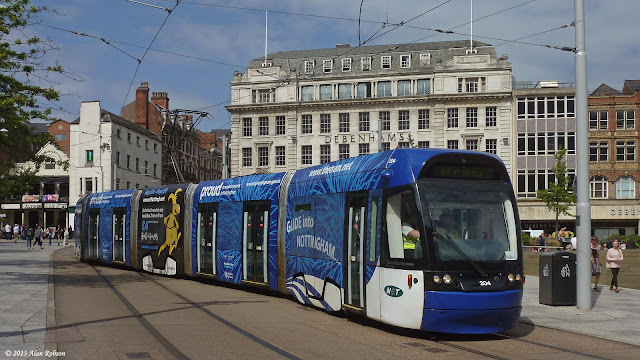 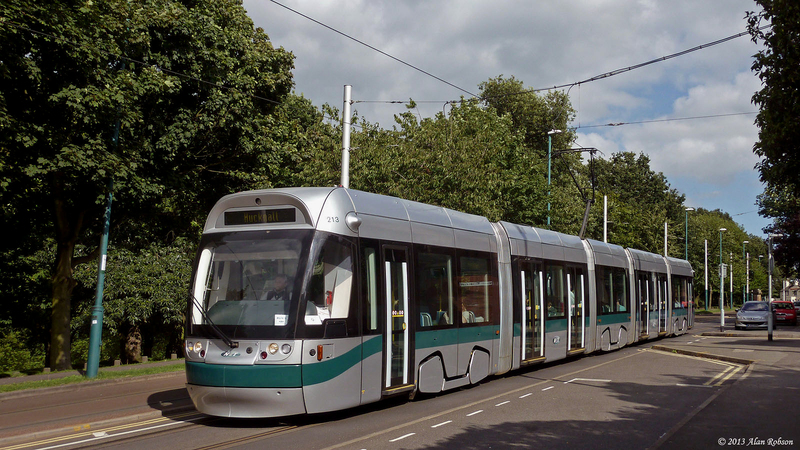 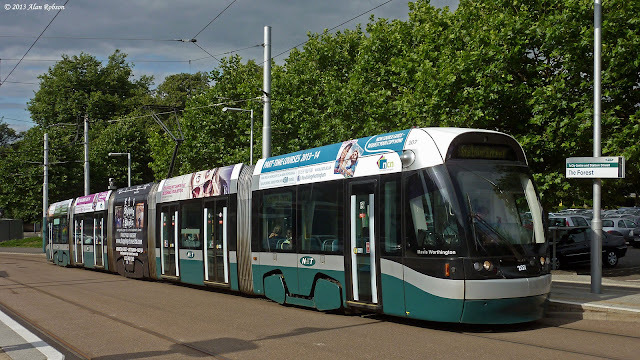 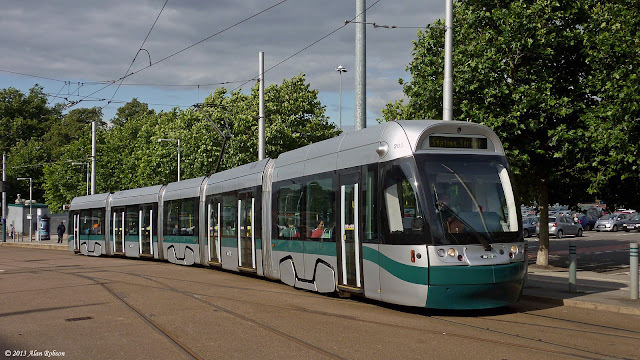 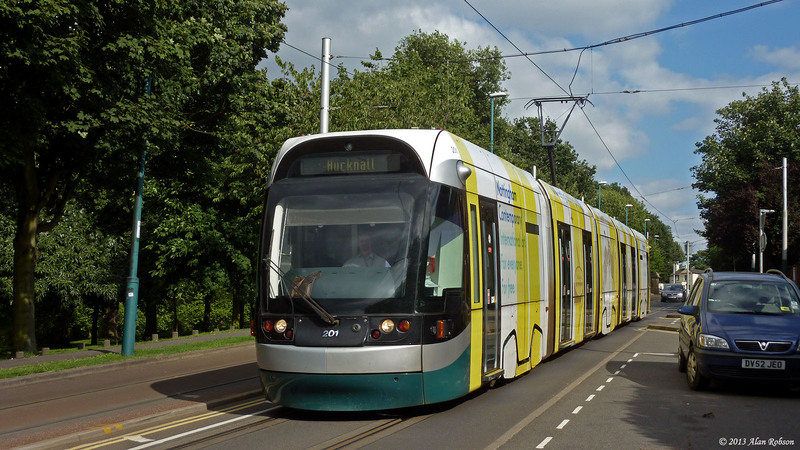 Another visit to the NET tram system in Nottingham was made recently. 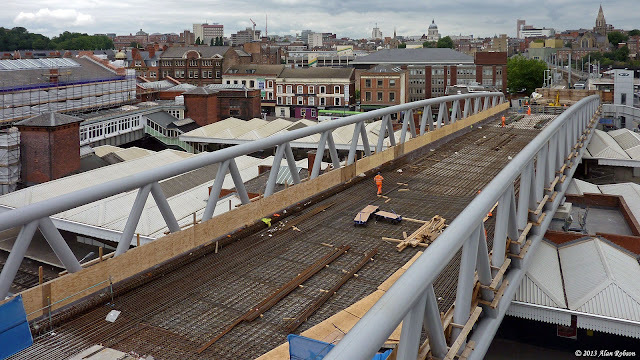 Despite the weather north of the city being glorious sunshine, Nottingham itself was blanketed under a thick layer of heavy cloud nearly all day. 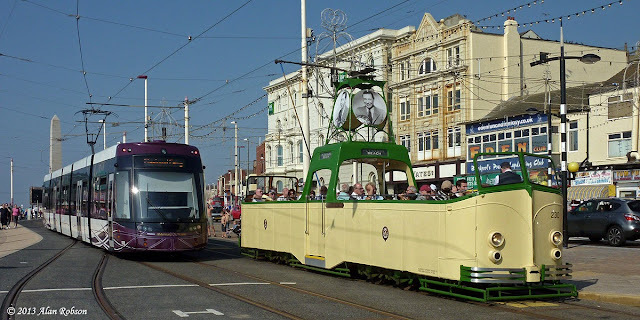 Fortunately just as I was about to leave late on in the afternoon the sun came out, which enabled me to get my first sunny shots of trams in the city. The accompanying views were all taken on 19th August, a larger selection of photos taken on the same day are available for viewing on http://www.flickr.com/photos/blackpooltrams/. 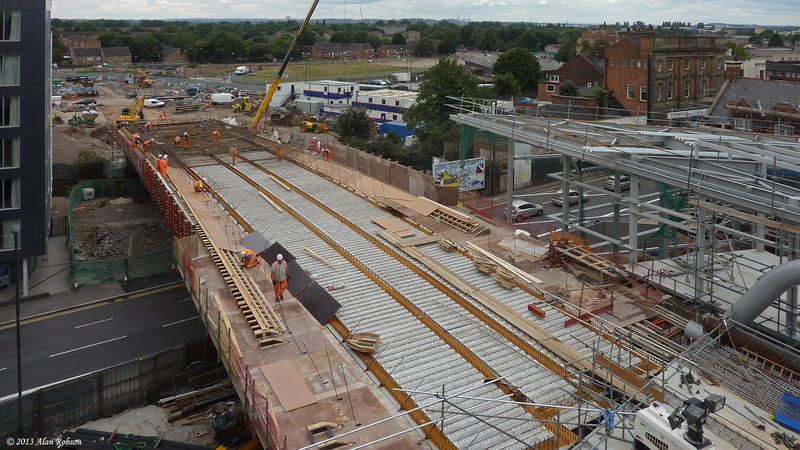 Construction work for the Nottingham Express Transit Phase Two extension is still ongoing. The newly extended tram system is due to open in 2014, and a recent visit on 19th August enabled some progress photos of the new tram bridge that crosses over the main railway station to be taken.